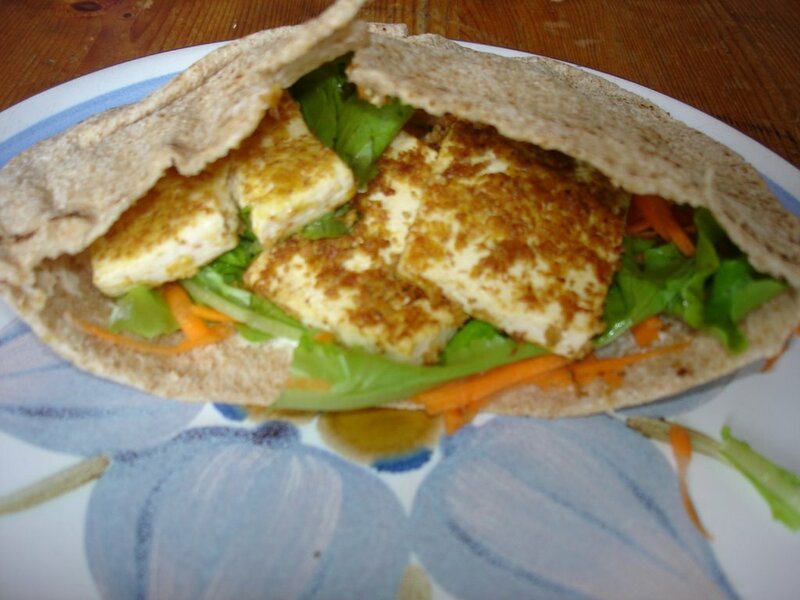 I love these crispy tofu sandwiches. 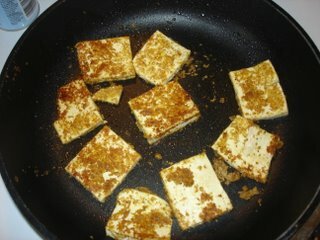 The coating for the tofu is really easy. It is just nutritional yeast, wheat germ, garlic powder salt and pepper. The lettuce is from our own garden so it is organic. I also grated some carrots to put in the pita and spread some mayo on it. What a yummy dinner. Love that. Pretty to look at, and i'm sure pretty tasty. I am a tofu fan and a pita bread fan, and so you can imagine, this tempts me big time! Ok -- that looks fantastic! !